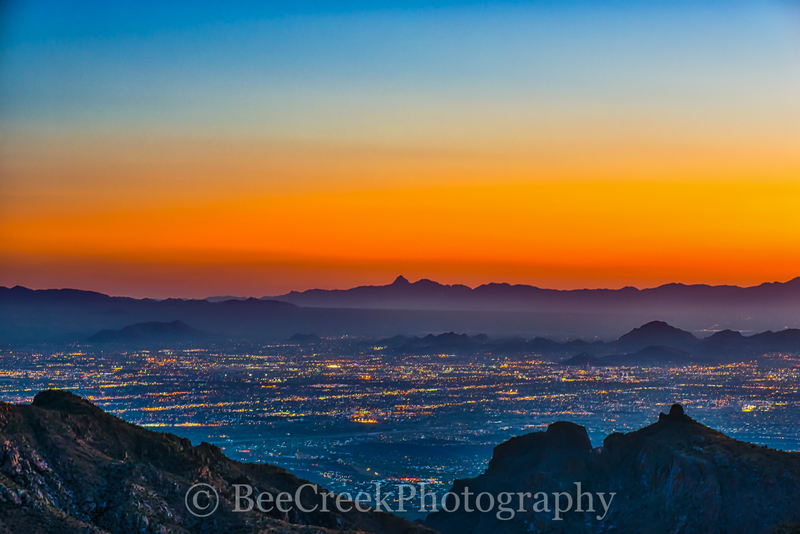 Tucson Sunset - Colorful Sunset over Tucson taken from the Santa Catalinas mountains. You can see the city light below as they begin to light up at dusk. I love the desert landscape it so pretty especially with this orange glow over the mountains in the distance. This area is part of the desert Southwest and if you mean dry it is that, but not empty there are plenty of cacti plants to keep you on the straight and narrow path. Photo © copyright by Bee Creek Photography - Tod Grubbs / Cynthia Hestand.